Skunkboy Blog: DIY Monkeys on ABM! 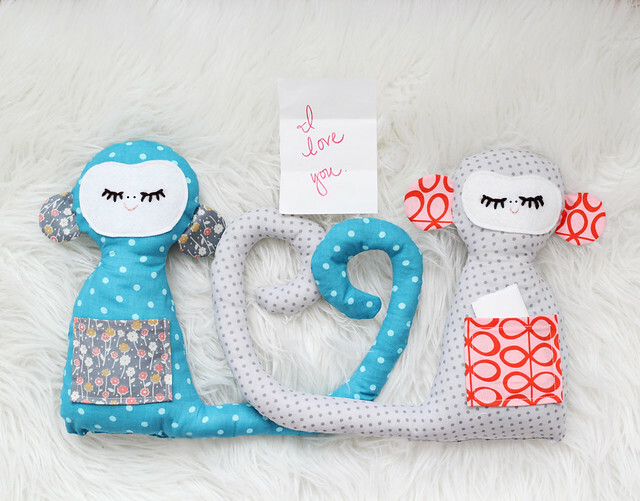 I have a new tutorial over on ABM for these fun little monkeys! There's a free printable pattern included, so there's no guessing on dimensions. Just print, cut, and trace! You can check out the original post for all the details. Happy sewing! Cute! I love that they hold notes! They are so cute! And I bet they are made with lots of love, which makes them even better! These are so cute! I can't sew for the life of me but I'd love to make these for my nieces! Oh, these are adorable. Thank you for sharing. I'm sure we'll have tons of fun making them!! !